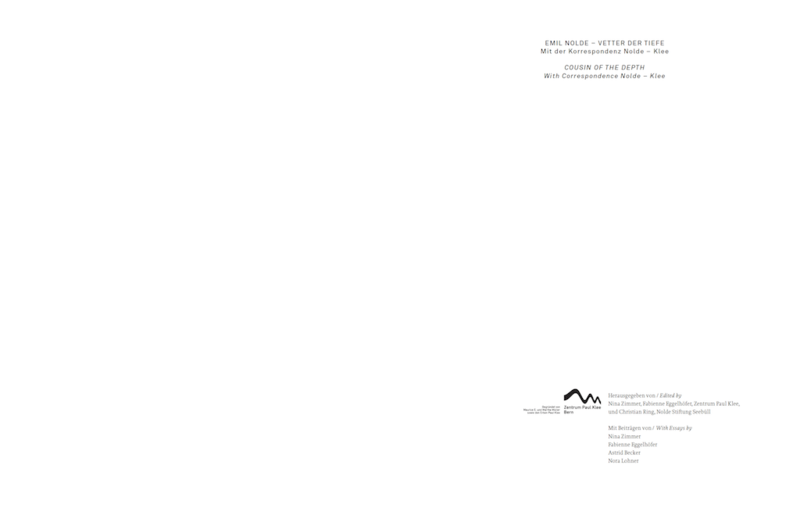 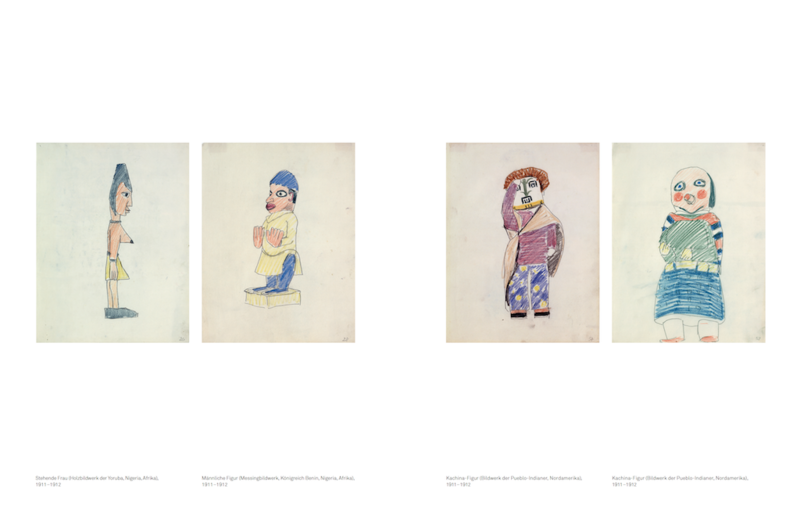 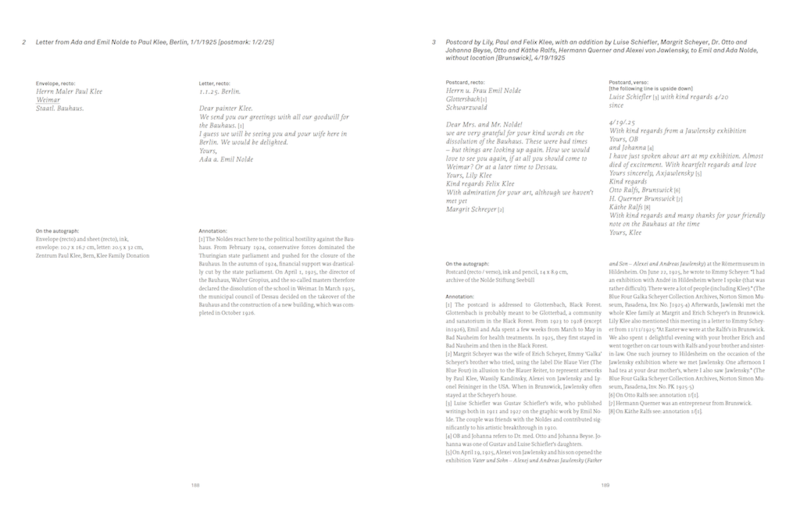 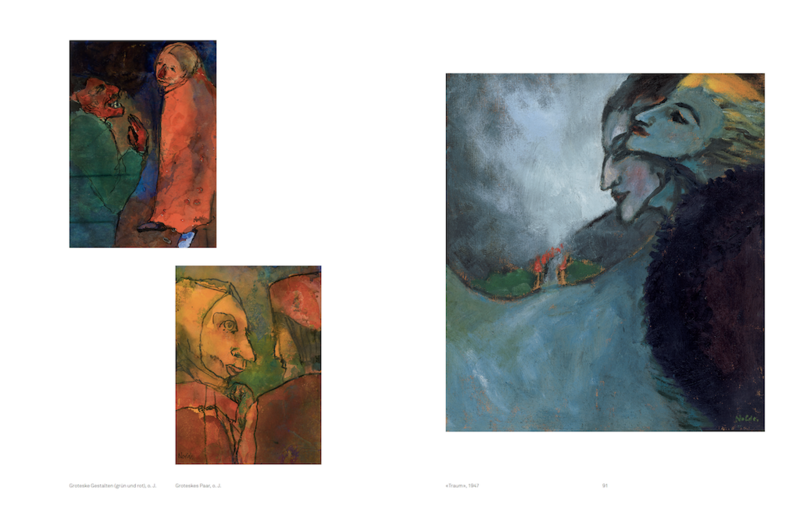 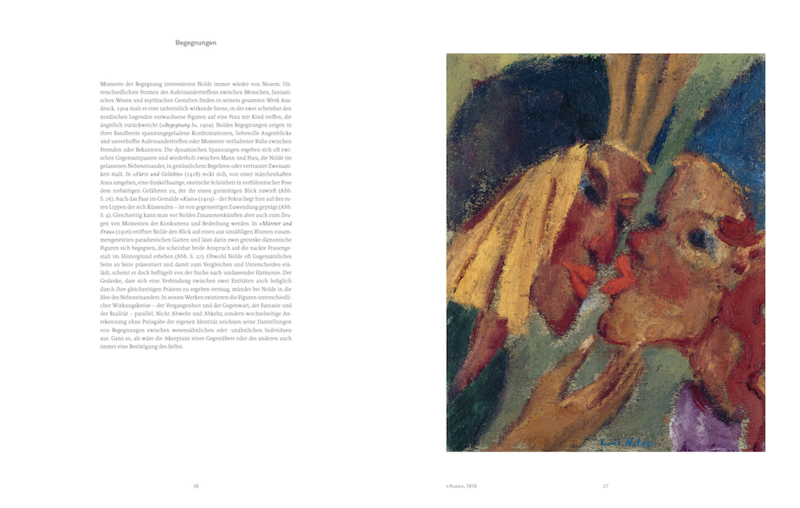 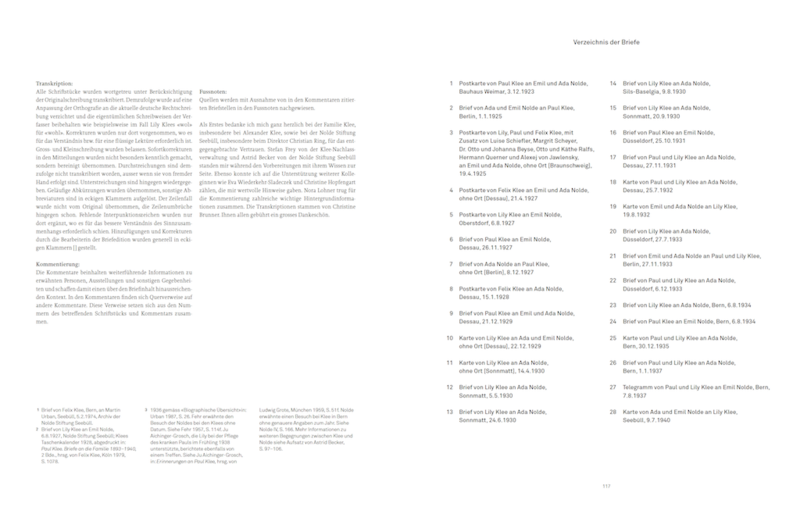 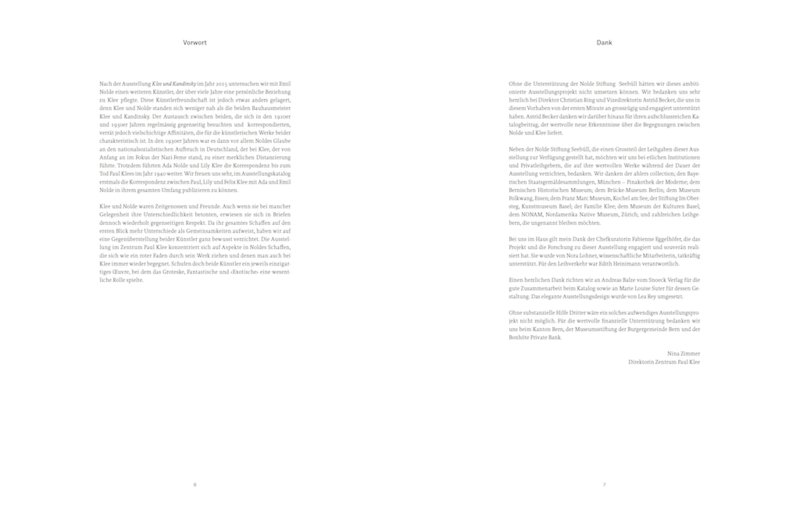 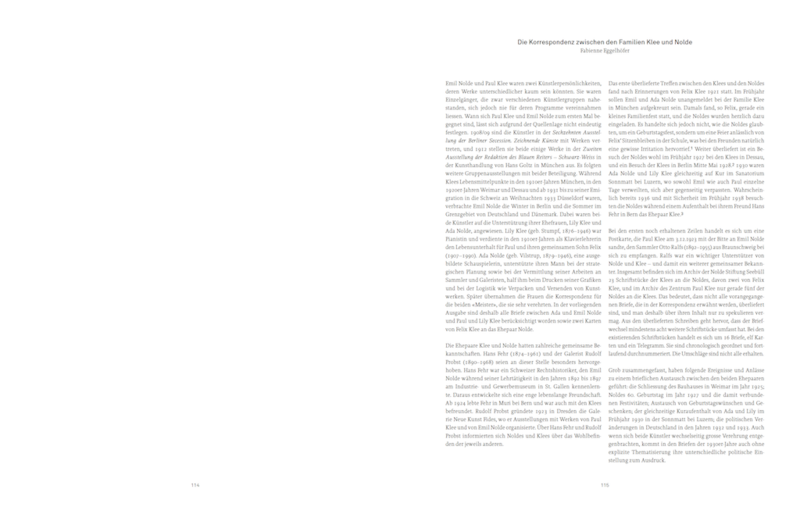 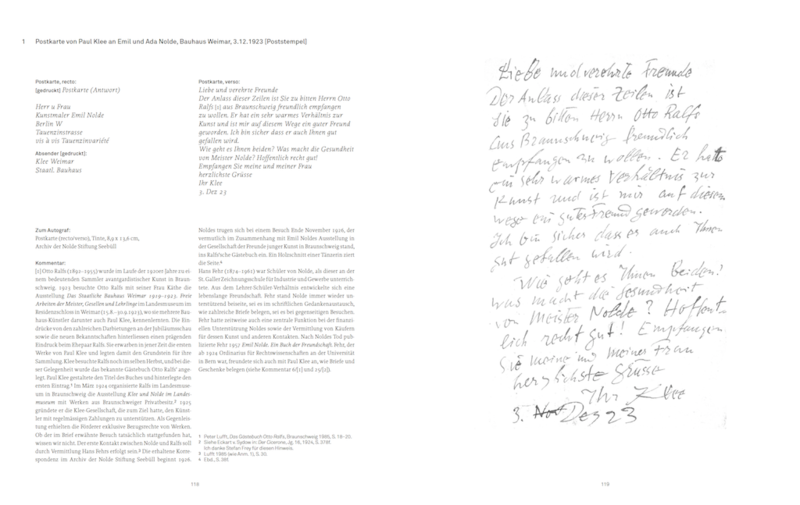 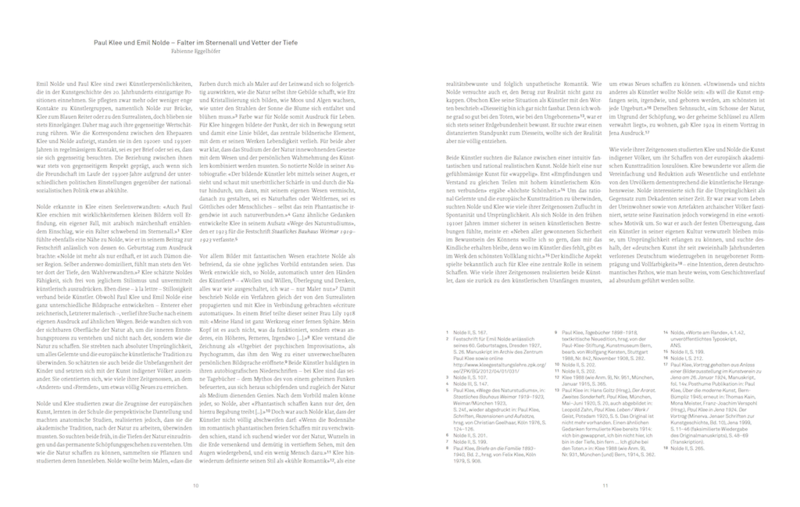 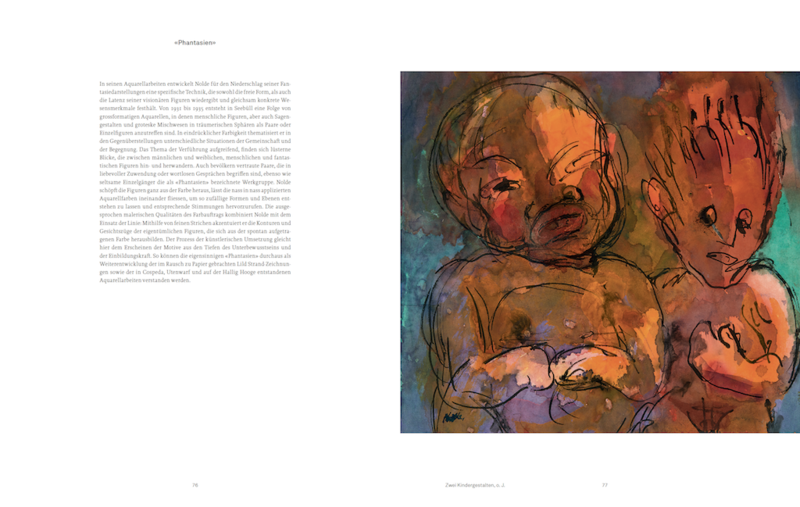 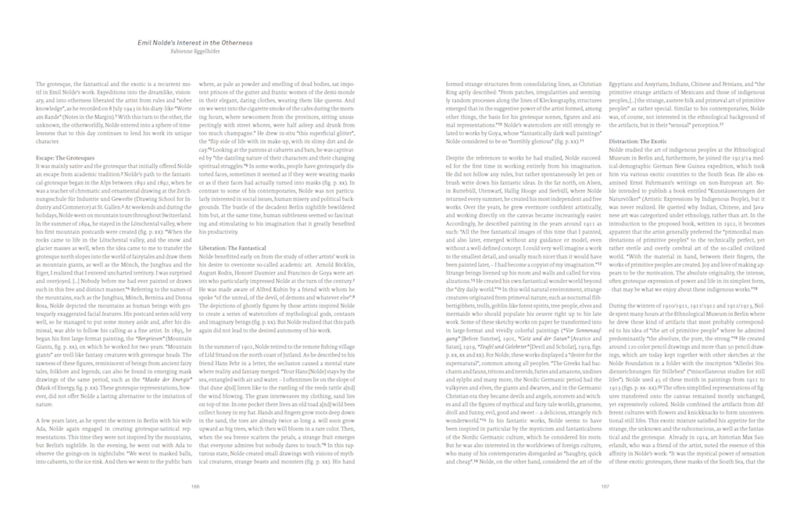 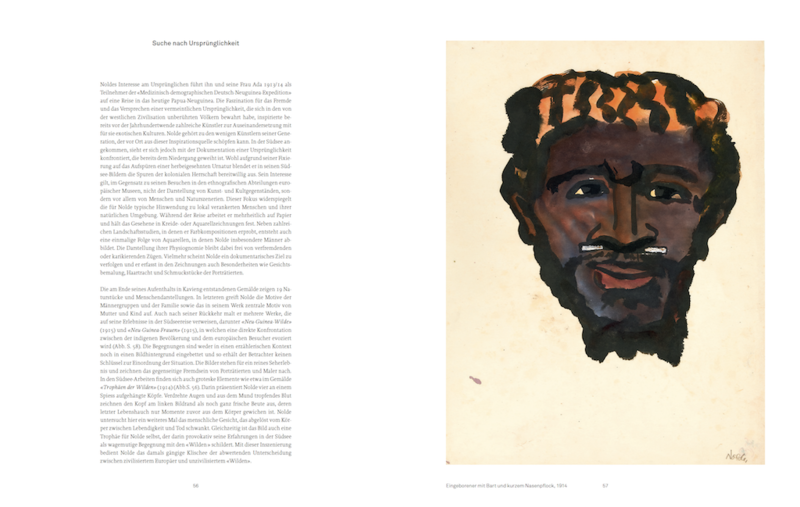 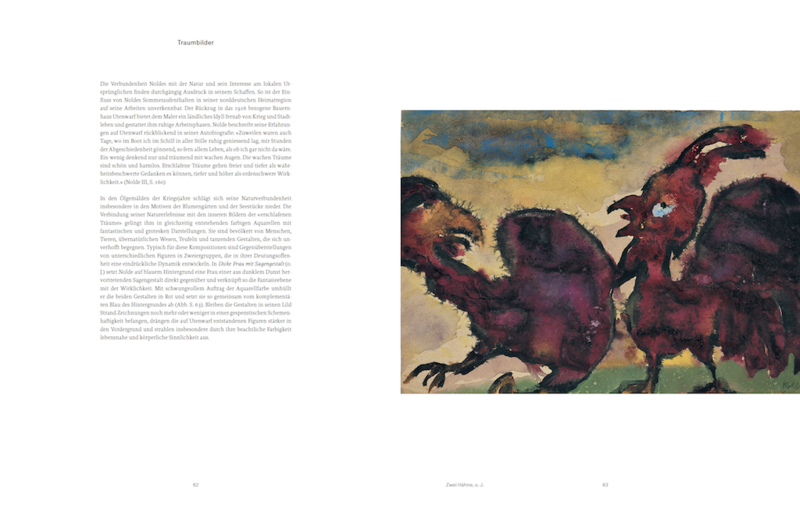 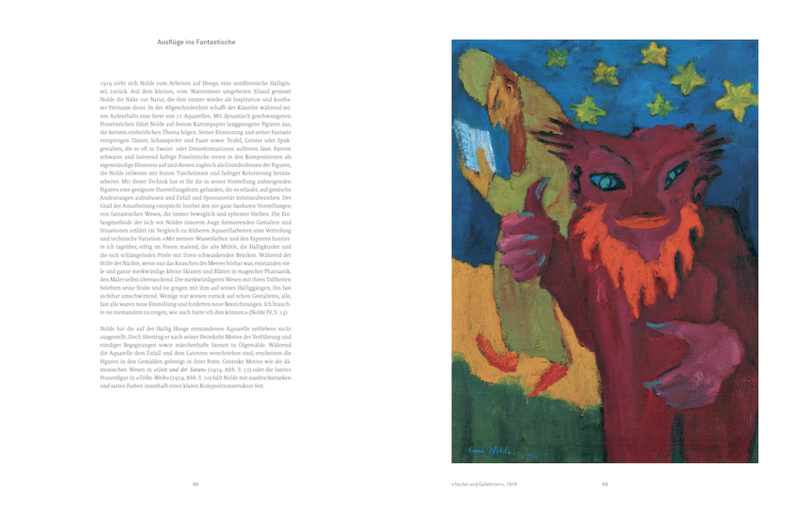 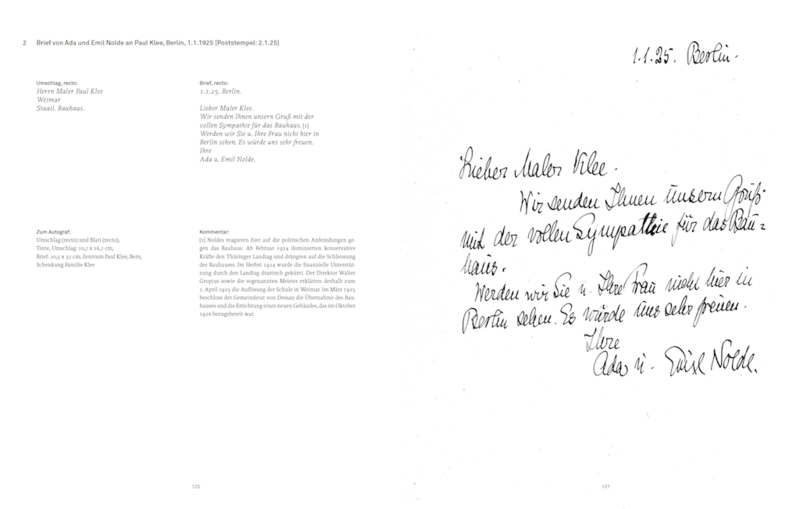 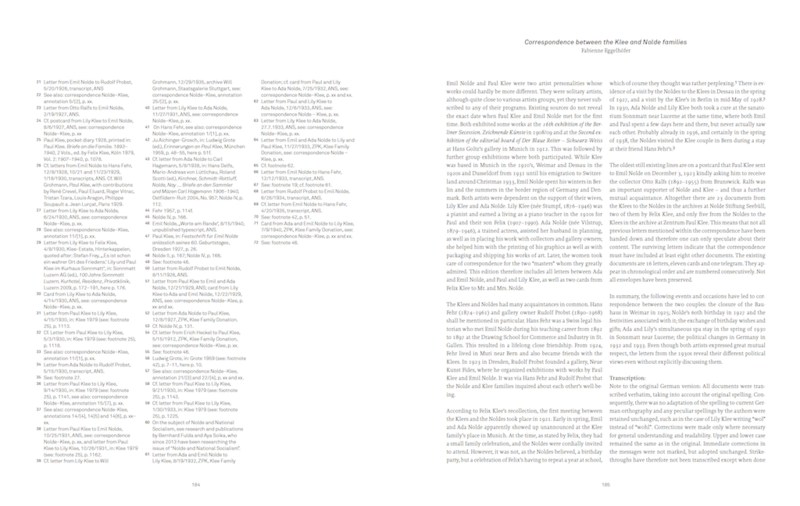 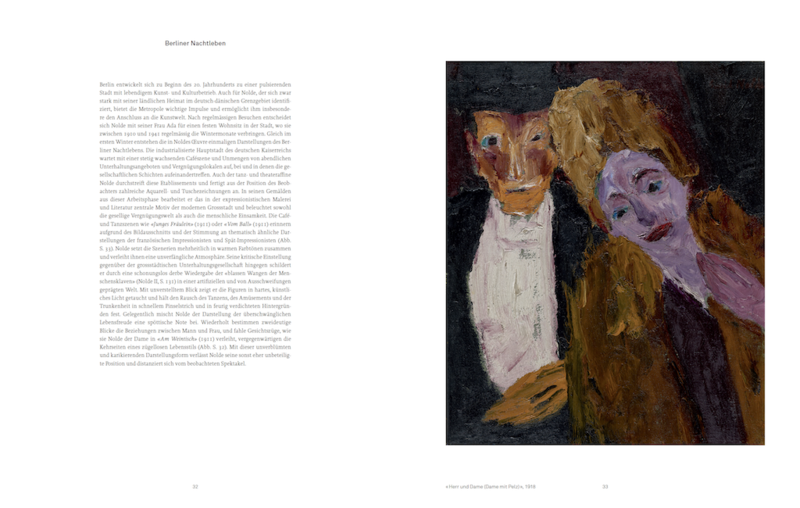 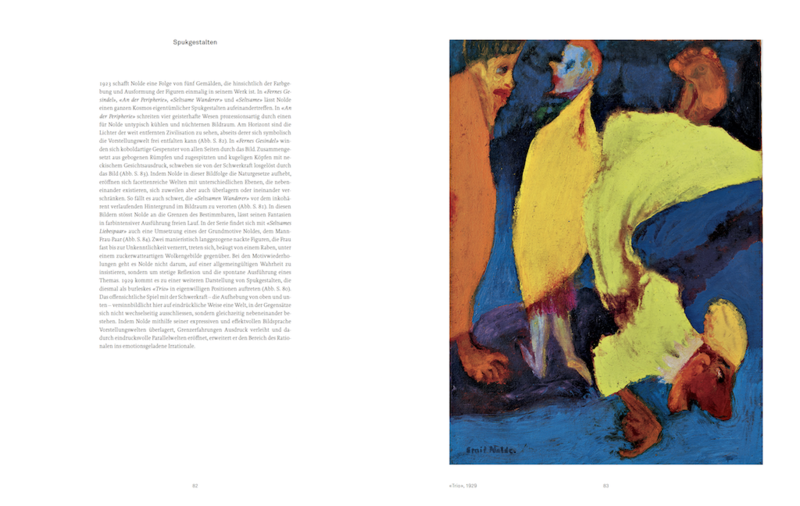 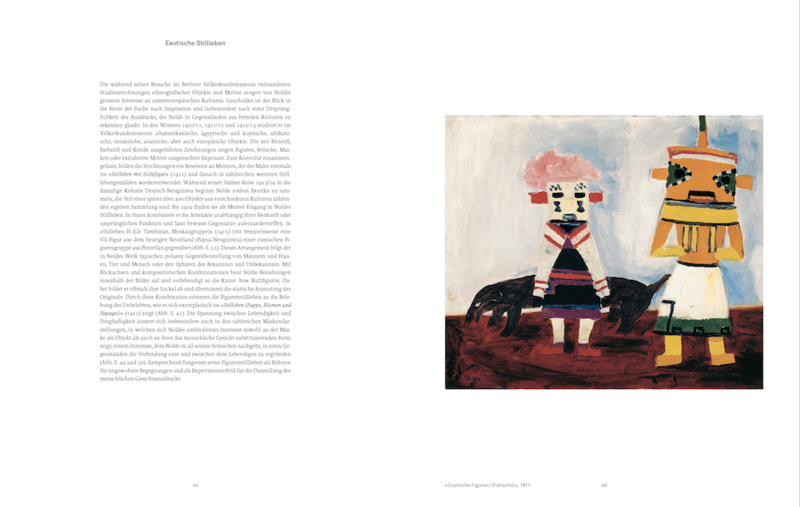 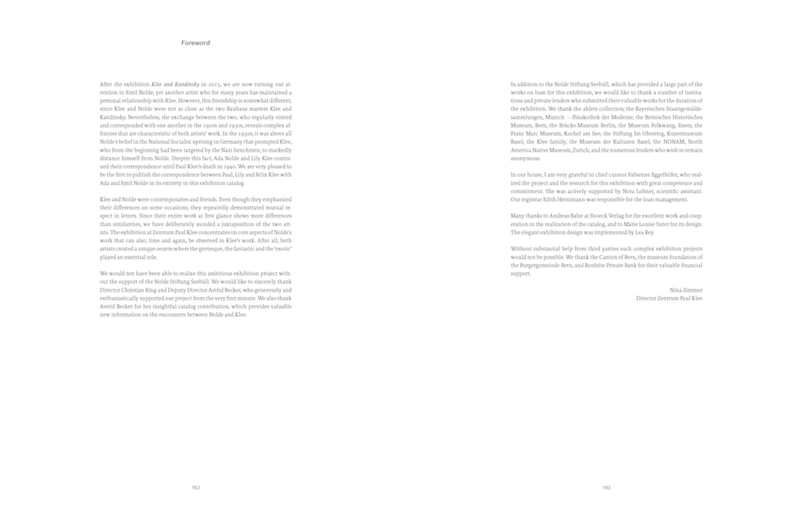 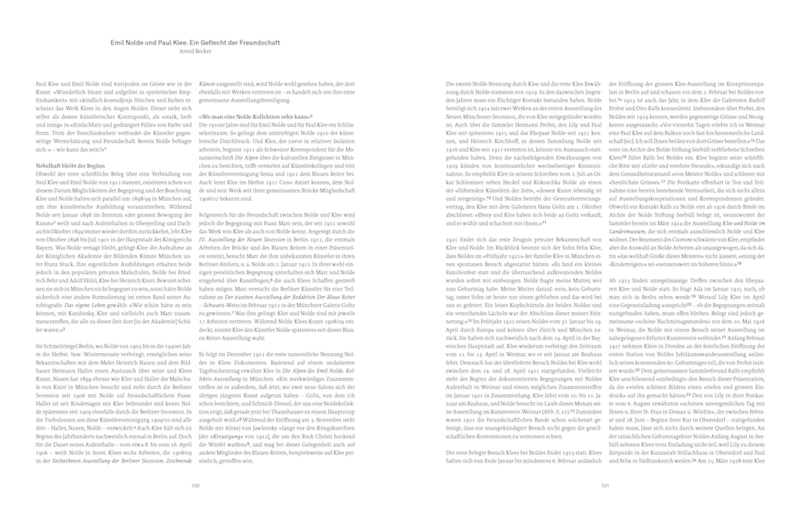 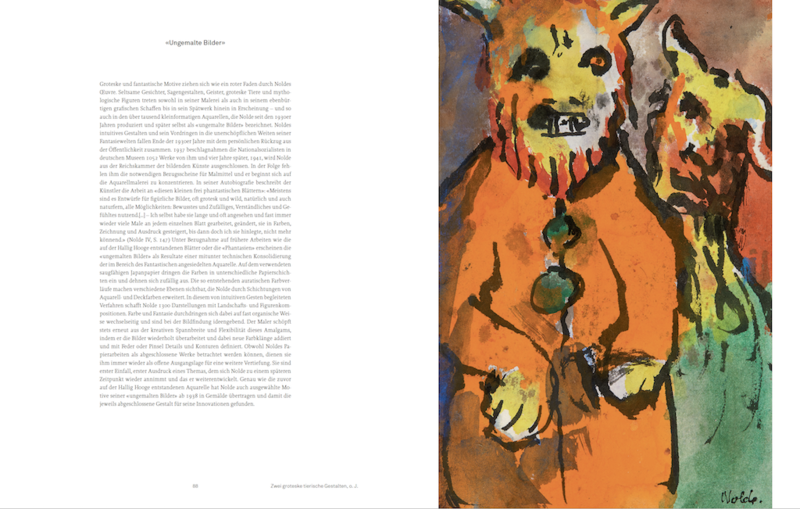 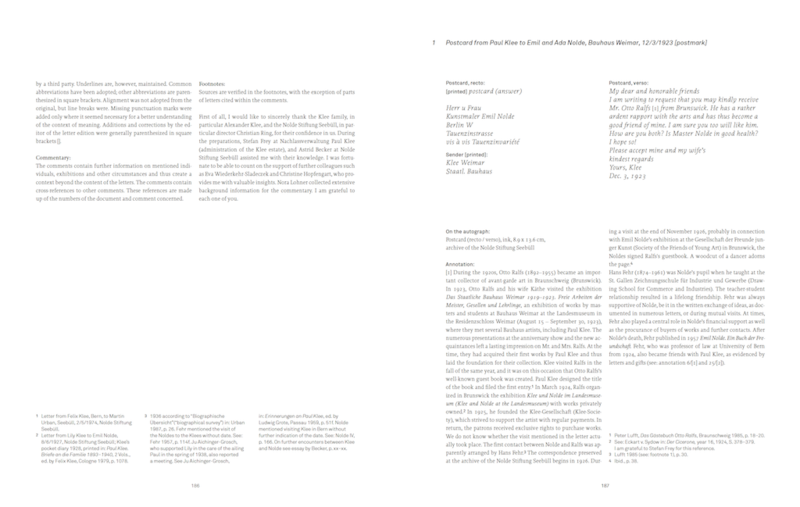 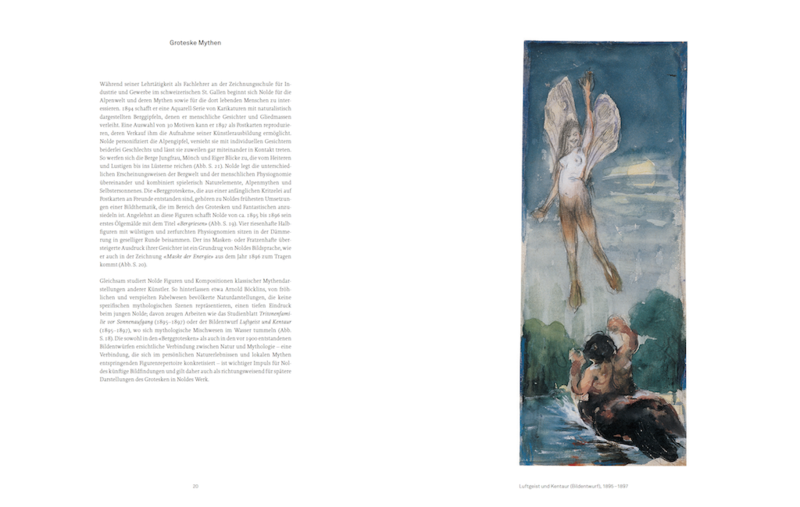 The book, its title a reference to a ­characterization that his artist friend Paul Klee bestowed on Nolde, is ­pub­lished on the occasion of the ­ex­hibition »Emil Nolde« at Zentrum Paul Klee and includes, in addition to the ­illustrations of the works on show, the first ever pub­lication of ­correspondence be­tween the Nolde and Klee couples. 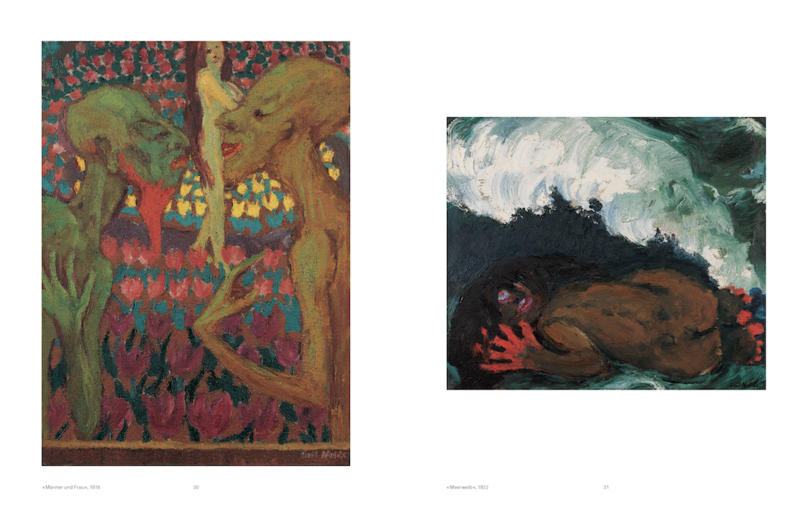 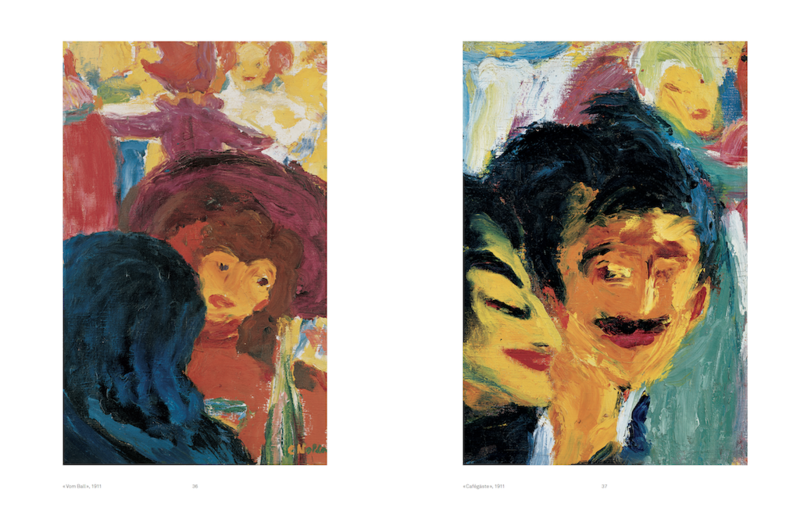 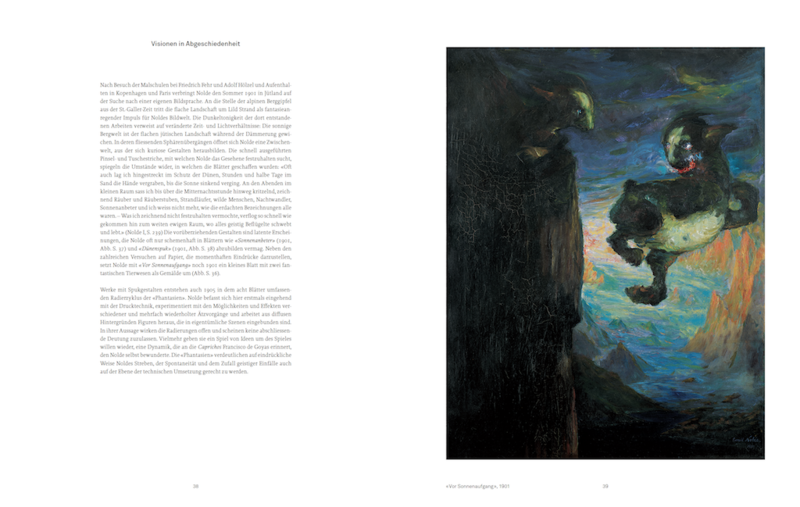 Any encounter with the unknown ­seemed to always inspire Emil Nolde’s artistic work. 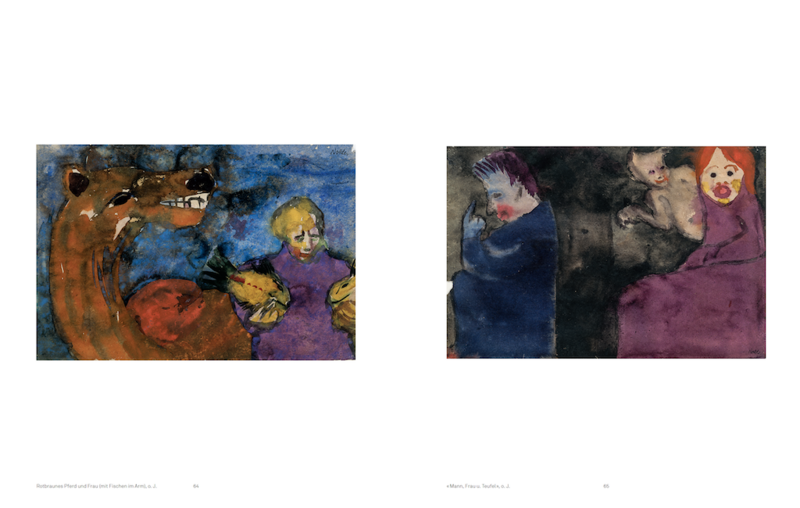 In his oeuvre there are great number references to the grotesque, the ­fantastic and the exotic – a fascination he shared with Paul Klee. 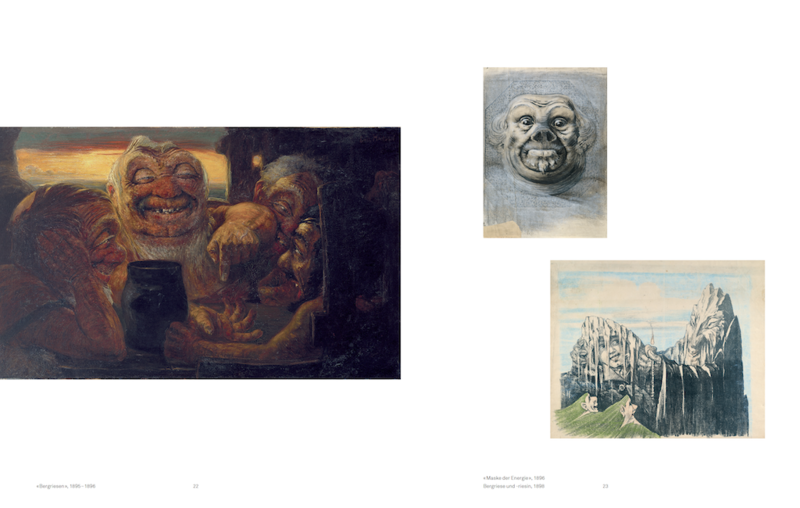 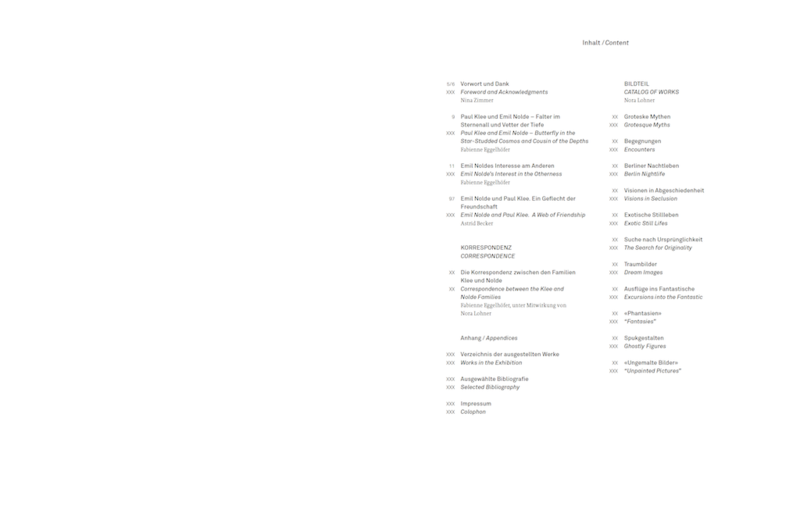 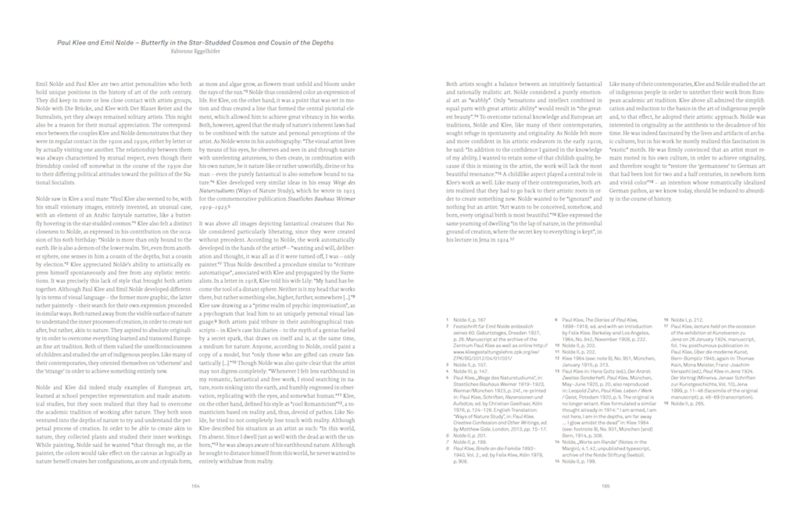 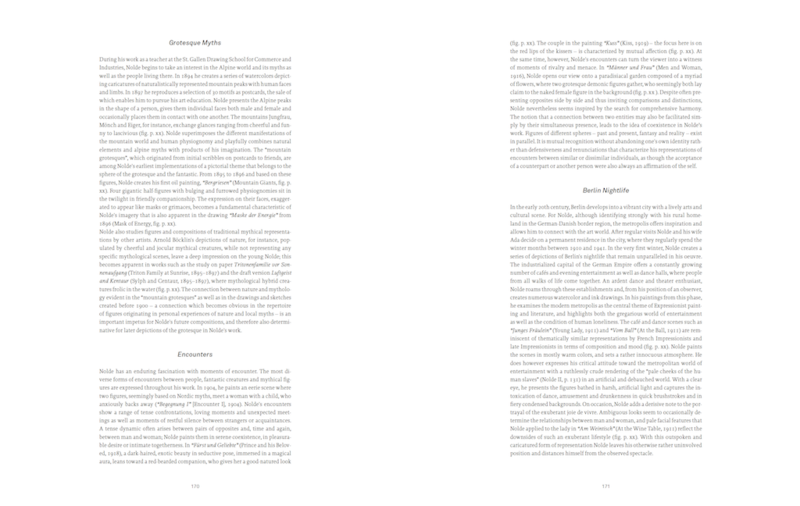 Grotesques enabled both to critically ­comment on contemporary events. 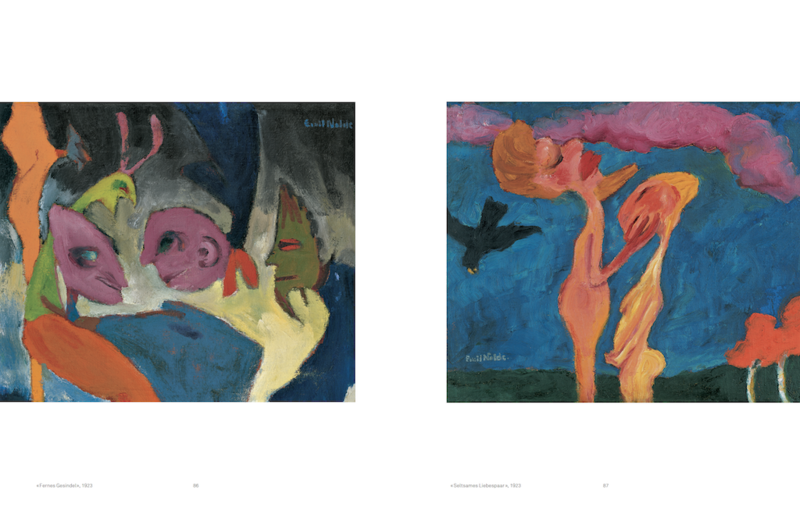 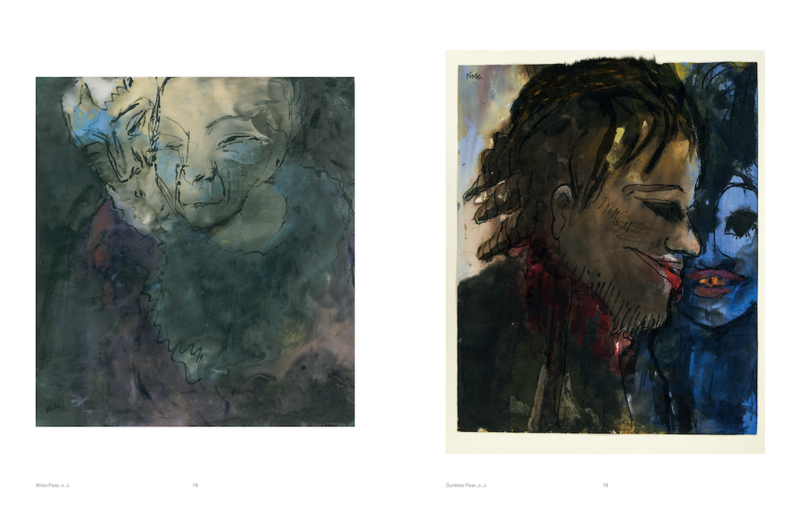 Fan­tastic ­depictions in Nolde’s work stem from the ­serious examination of the unknown and uncanny and, ­accordingly, take a central position in his work, while in Paul Klee’s work, the realm of ghosts, ­demons and other hybrid beings as an exciting ­parallel world seems to rather serve a kind of ­edi­fication. 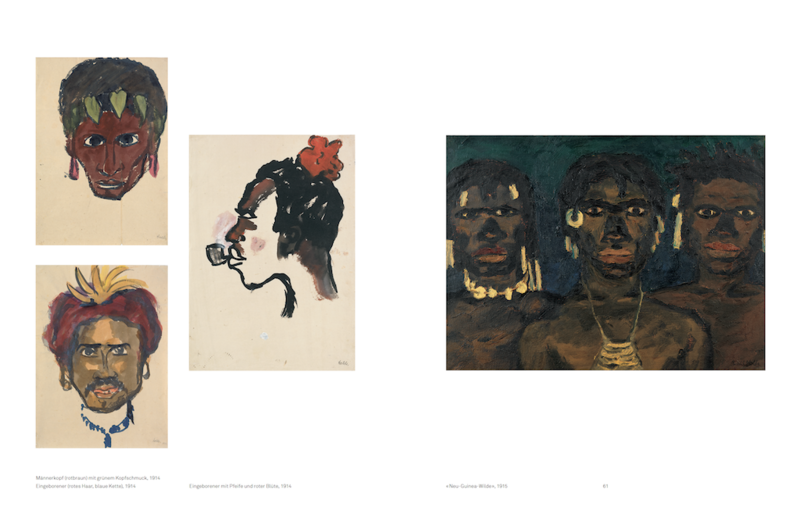 For Nolde as well as for Klee and many of their contemporaries, exotic motifs formed a new inspiring vocabulary of forms, which helped them transcend the restrictions of the European tradition. 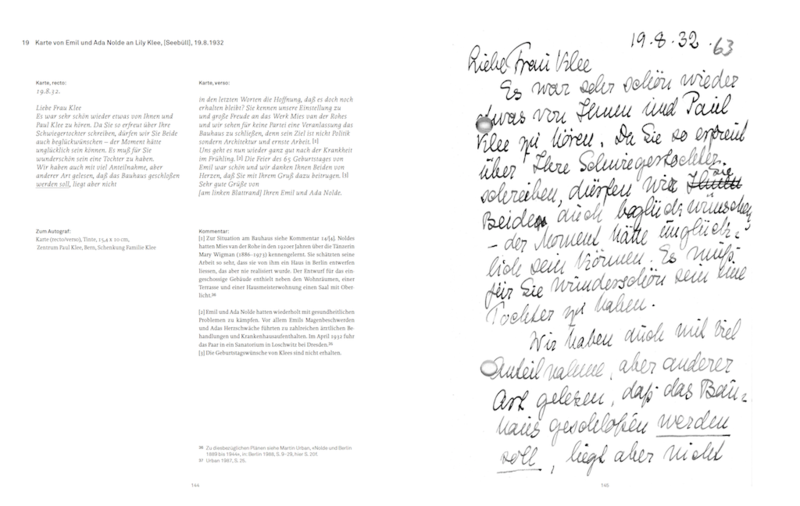 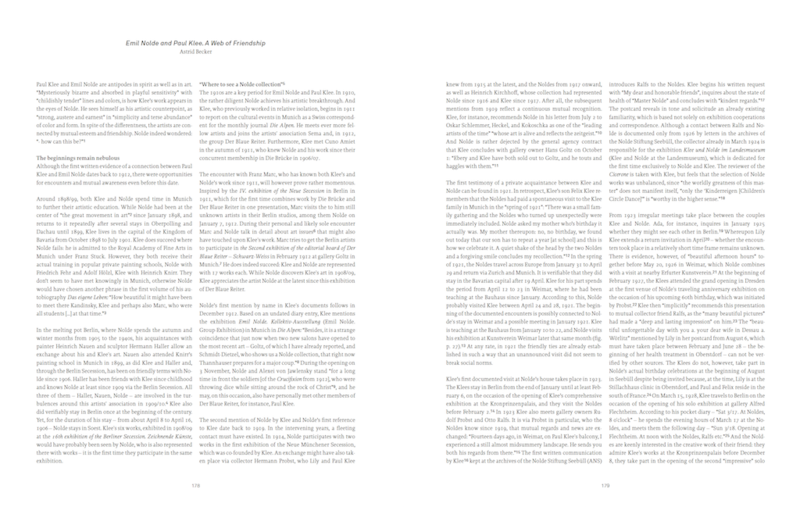 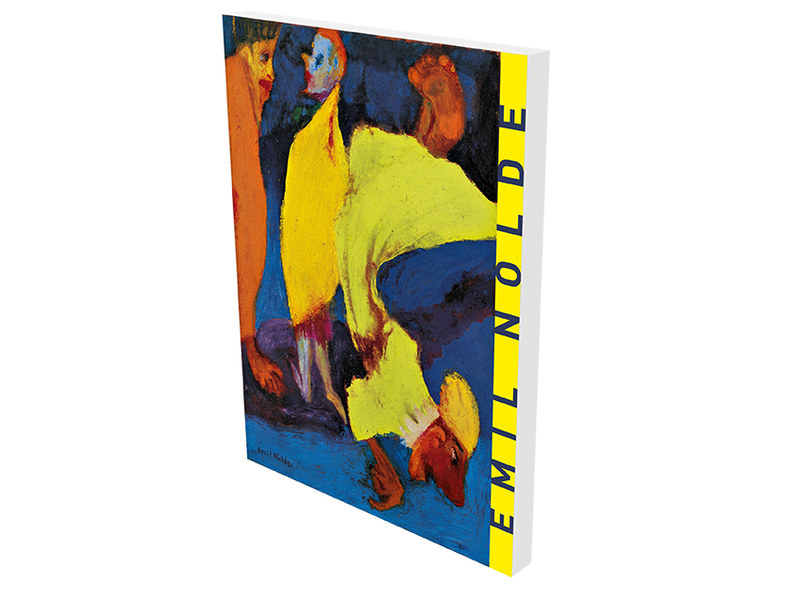 The volume at hand presents works by Nolde that until now might have been only of ­mar­ginal interest to the art world, but were of great ­importance to the artist and thus deserve our full attention, and publishes and comments for the first time ever the correspondence between Emil and Ada Nolde with Paul and Lily Klee. 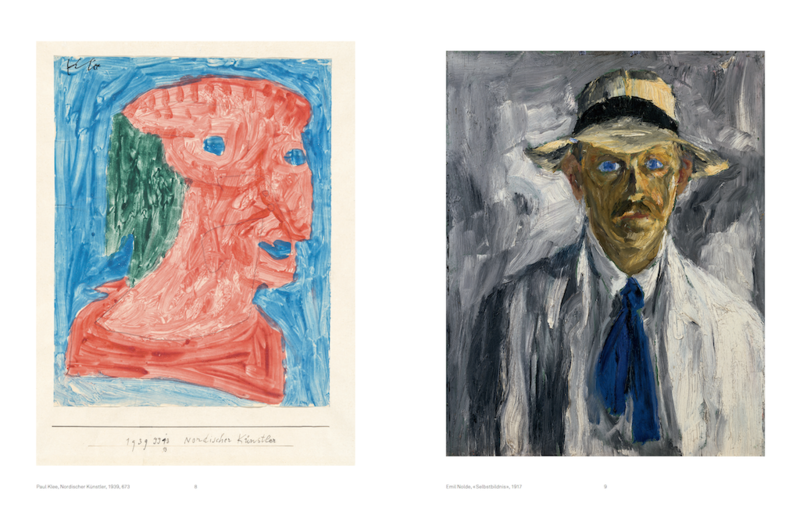 This ­research on the written communication between the two artist friends and their families fills an ­academic void, and hitherto unknown aspects of a mutually inspiring friendship come to light.